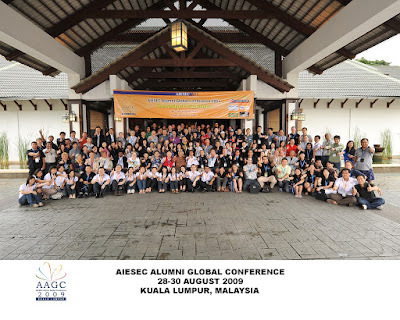 A Big Thank You to delegates of AAGC2009 in Kuala Lumpur for making it a fantastic event. The official photo album for all the event is listed below. We would like to thank Khoo Ching Eei for allowing us to use her photos in most of the events. Any delegates who are sharing your photos in picasa, flickr or other photo sharing website apart from facebook, please let us know so that we can update everyone and add to the following list. Please email aagc2009@aiesec.my your link and we will published it here. This entry was posted on Tuesday, September 1st, 2009 at 8:36 pm	and is filed under General. You can follow any responses to this entry through the RSS 2.0 feed. Both comments and pings are currently closed. © 2019. AIESEC Alumni Malaysia. All rights reserved. Powered by WordPress & SimpleX theme.